TS-2800EUF is an ideal, simplistic solution for the rechargeable system. As we just plug it into the wall and it will charge up to 4 AA/AAA rechargeable batteries. TS-2800EUF , an unique Samya-designed microprocessor was employed to regulate its charge, and provide many safety features. 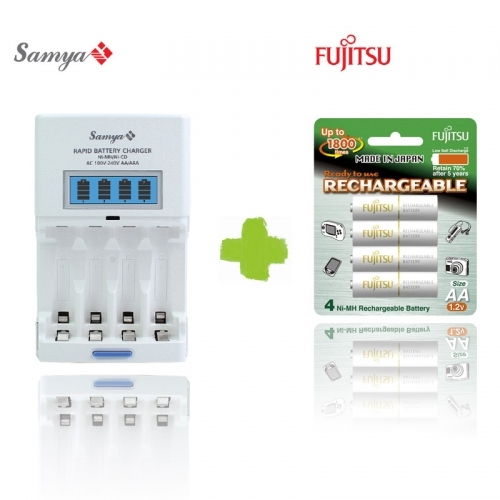 Samya's advance in charging technology offers significant performance and convenience advantages over the existing rechargeable systems. Samya believes that TS-2800EUF will meet customer's needs for intelligent charging system. Charging time : 1~2 cells - approx. 2 hrs. 3~4 cells – approx. 4 hrs. Discharging time: Approx. 8 hrs.